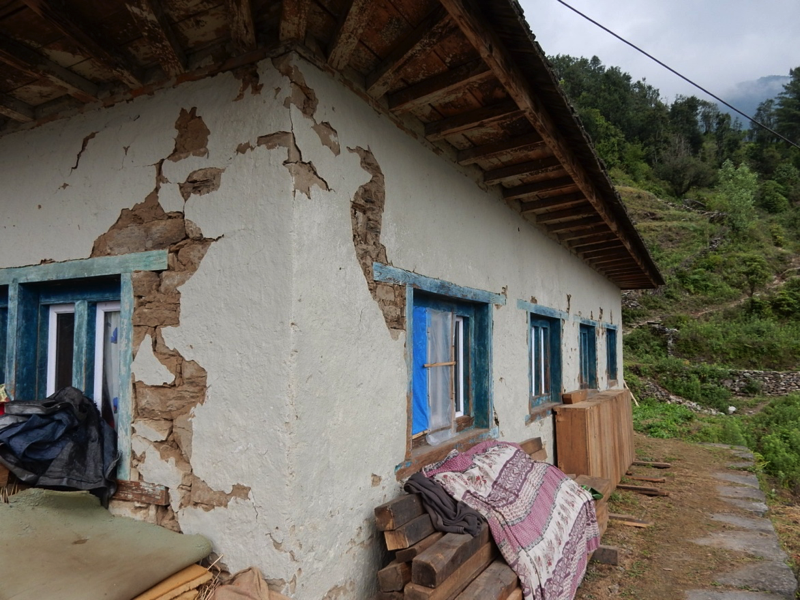 Kanchhi and her son, Phurwa, are the owners of this 2 story house which is currently unoccupied. Lhakpa, Dolma, Mingmar Doma, all women are farming the land next associated with the homestead and pay some rent. They live in another house in Chhulemu and are simply tenant farmers for the land. Kanchhi and Phurwa operate a guest house in Taksindu and if they can’t make it financially, especially with the economic downturn caused by the earthquakes, they will move back onto the homestead and resume farming.